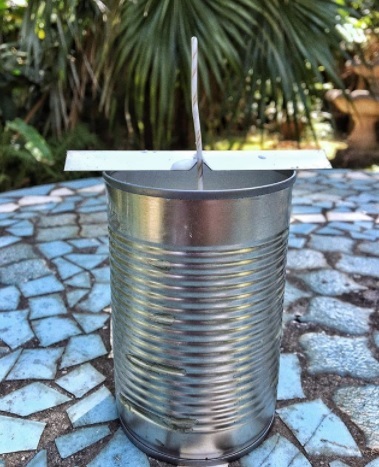 Time for Spring Cleaning : Recycle, Repurpose, Reuse! Our planet currently has 8.3 billion metric tons of plastic garbage on it. 91% of all plastic can't be recycled, and it takes over 400 years to start to degrade. Much of this plastic is "single-use" plastic, or something we use ONE time, throw away, and contaminates our planet for centuries. If we continue with this trend, by the year 2050, there will be 12 billion metric tons of plastic waste on our planet... in litter, landfills, and oceans. It's hard to imagine. It’s critical for us to be mindful of our actions in order to keep our only planet clean. First, we need to consider what items we use and discard that could be replaced with reusable items. Think cups, bottles, straws, bags… Let’s consider first what waste could be reduced by reusing. Next, let’s think about what items could be repurposed or “upcycled” rather than discarded and sent to landfills. DIY inspiration is all over the place these days, encouraging us to reuse textiles, vessels, and more. When we have reduced waste as much as possible, then we turn our sights to recycling. Unfortunately, the list of what actually gets recycled is very limited, including items like certain plastics, aluminum and tin cans, and in some (but not all) cities, glass. Recycling can be tricky, as there can be no food or drink in items getting recycled, the bags cannot be contaminated at all, and recycling can only go in clear bags or no bags. If any of these conditions are not right, there is a good chance the remaining items don’t get recycled. Our recycling plants are so overloaded and lacking in resources and manpower, the amount of items actually being recycled is not as great as we would like to think. When we think about our Spring Cleaning, let’s reduce where we can, then reuse what we can, then recycle what is left that can be recycled. Visit The Wynwood Yard on Earth Day to learn all of the ways that you can reduce, reuse, and recycle to make the most of your efforts. Some companies have embarked upon more innovative forms of reducing harmful plastic waste by creating other products instead. 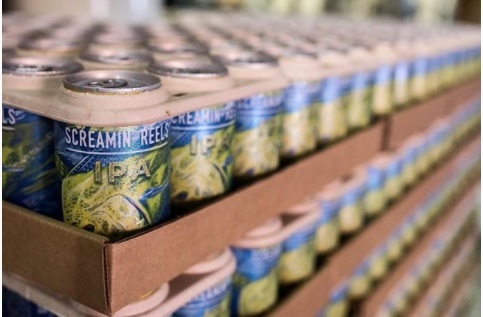 For example one of our Earth Day sponsors Saltwater Brewery, a Florida-based brewery, has taken the green initiative in using the E6PR™ (Eco Six Pack Ring). This eco-friendly six-pack ring is made from compostable non-toxic material design to replace plastic rings. How cool is that?! Visit our booths at Earth Day to learn more about reducing your use of single-use plastics. Debris Free Oceans has just launched a really fun #MiamiisnotPlastic campaign to help us keep Miami clean and maintain our #sexybeach. Lean Orb and Surfrider are a few other organizations that propose that we first REDUCE, then recycle. You may have noticed that The Wynwood Yard has initiatives in place that reduce waste, like our “no straw” initiative at the two bars, our “no styrofoam” policy throughout the yard, a variety of biodegradable packaging offered at food trucks like della bowls and House of Mac, and our offering of reusable cups sold at the bar to reduce single-use plastics going to landfills. Best news about the cups? You get $1 off every beer when you bring your own cup! Earth Day at the Yard will offer a number of ways to help you reuse unwanted items, and think about new ways to upcycle old things. 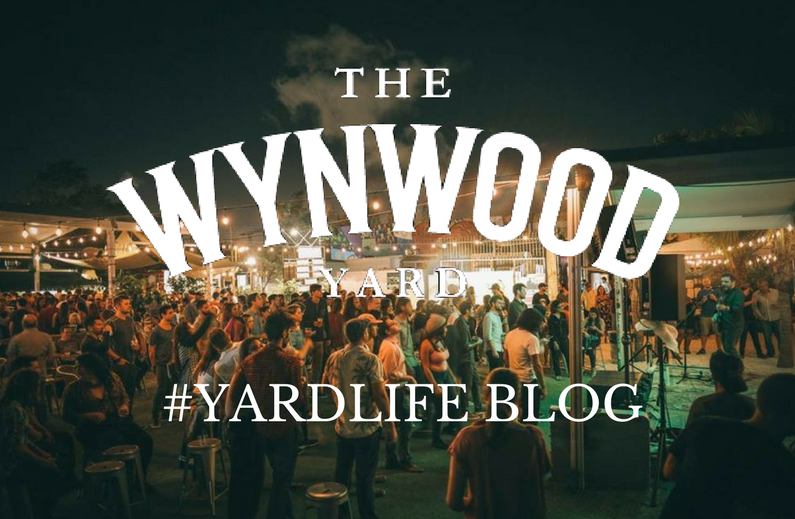 The same team that brings you The Wynwood Yard will open a new venue in the Miami Medical District. Once it opens on April 17th, Jackson Hall will incorporate six healthy concepts with one purpose. The space features a library created for guests of all ages (in collaboration with Books & Books), filled with books that make you laugh, lift your spirits, transform your mindset, and motivate wellness and positive thinking. Bring your book donations for the swap section of the Positivity Library to Earth Day at The Yard. Have old clothes you no longer want? Don’t donate them... upcycle them! Since 95% of all textiles CAN BE recycled, we should be repurposing them rather than throwing them out or donating them. Only 10% of donated clothes actually gets sold or used, while much of it goes to landfills. Bring your unwanted clothes to The Yard for upcycling! Professional organizer and designer Colleen Coughlin from The Full Edit will host an upcycling workshop from 2:30 p.m. to 4:30 p.m. Colleen will teach how to make upcycled denim bracelets and speak about the importance of sustainable fashion and the goal of eliminating waste. You won't have to bring your own fabric to the workshop. However, if you do want to donate clothes for the workshop please bring gently used clothes, any ribbons, bows, old beaded jewelry, or art supplies you no longer want. There will be bins at the entrance for all unwanted clothes. The clothes donated will be added to the 4,094 lbs TheFullEdit has eliminated from the waste stream. Upcycling is taking old bell bottom jeans and turning them into new stylish shorts. It’s also using the empty pasta sauce Mason jar and turning it into a storage container for cereal. Upcycling is essentially reducing waste and taking materials that one might have originally considered garbage and turning them into a product that creatively changes its purpose and value. Refurbishing a product is not only creative and useful, it’s also environmentally friendly. However, it’s not a new concept--in fact, many of us have upcycled without even knowing it, like using a shoe box to store art supplies.Upcycling has become more popular as we become more aware of how waste impacts our planet and the urgency of being more environmentally conscious. 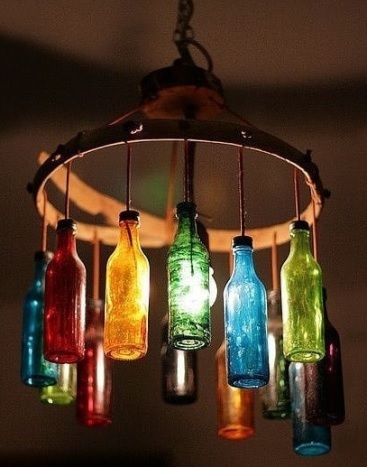 Check out this beautiful glass bottle lamp from Upcycle That; a platform for upcycling DIY tips and inspiration. Glass is an excellent element that can both be recycled and repurposed. If you have unwanted glass containers bring them to Earth Day at The Yard where Allapattah Candle Company will accept any glass jars and aluminum containers to repurpose and reuse for candles. This a great opportunity to support sustainability and local businesses that represent green initiatives. As you probably know, recycling is the process of taking consumer items like paper, plastic, and glass and breaking them down to convert them into new materials and products. This process generally downcycles items and the material is used to make something completely different. However, that does not mean the final product loses its value--the material is simply being transformed into another useful item. Sometimes the consumer item is used for the same purpose such as wine bottles. Paper, for example, is recycled and turned into pulp, and then used to create more paper. Recycling is critical because this is the only planet we know that can sustain us and we have to take care of it. Our human activities have had a negative impact on the environment and we have to collectively take action in reducing waste. Recycling also reduces the amount of energy used daily, by reducing the need to produce new materials. This reduces the greenhouse gasses that go into our atmosphere. Plastic is complicated and a lot of us are not aware that certain plastics do not get discarded properly even after we place them to be recycled. But if you are a pro recycler you know for a fact that #5 plastic containers are usually not accepted and an extra step is necessary to recycle these items in an environmentally safe way. These plastics are the very common yogurt cups, cream cheese tubs, hummus tubs, or Tupperware. Whole Foods Market collects #5 plastics at all locations. They collect yogurt containers, cottage cheese containers,cream cheese containers, and other white plastics, and work with Preserve to manage full circle recycling. The “Gimme 5” recycling program turns these #5 plastics into usable items like toothbrush handles and containers. Bring your #5 plastic containers to Earth Day at The Yard where you can participate in the Whole Foods : Create Your Own Trail Mix station. There will be a recycling box at the entrance of The Yard for additional (clean) plastics to discard, and your trail mix will come in a recycled container made possible through this unique program. Look for the blue bins around the yard to recycle your bottles, cans, and other items. Remember to empty them before they go in the bin, and to never put soiled food containers or plastic cups in the bins.